I was talking to my friend online and told me her story about her life in the Middle East and how she is having a hard time finding a real relationship while she was there. She was kind of a late bloomer in terms of having a boyfriend, she hasn’t found one yet. 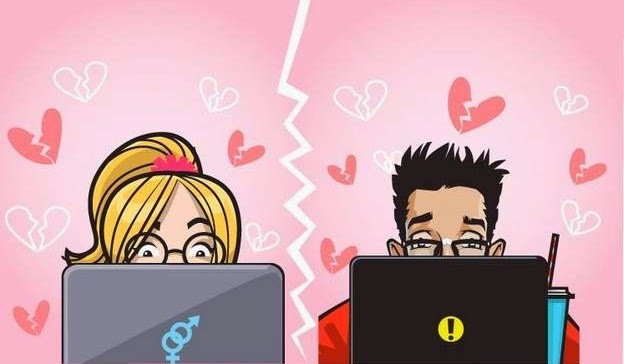 She was just messing around with some guys on chat and that’s not even considered a real relationship but lately she got a dose of her own medicine when she did love someone online but she’s afraid they can’t be really together. I mean they both know that it will never work out and be she still clings for that small hope that someday they will see each other, even though the guy is starting to not get serious with her. She’s furious about them being just friends because of her so called invested feelings online. The thing about forming relationships online is that you risk your feeling for something as vague as this. I mean sure they worked to some people but it’s not for all and you can’t be so clingy to someone that can just cut contacts with you because they are fed up. If you can’t see each other then that’s about it, don’t expect that it can go on forever because that’s not how the real world works.